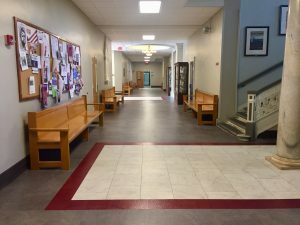 The Department of English recently received an update to the Morgan Hall foyer, including new flooring and freshly painted walls. In addition to the more extensive updates to the foyer’s ceiling and floor, Facilities staff members enhanced the foyer’s details by repairing, cleaning, and repainting the marble plaque, as well as improving the lighting. 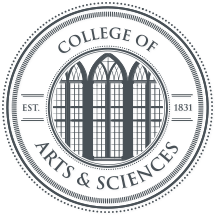 “I think the improved lighting makes the whole area pop,” Wuebold stated. Following the renovation, the Department was fortunate enough to also secure the loan of a painting by artist John Hardy from the Paul R. Jones Collection of American Art. 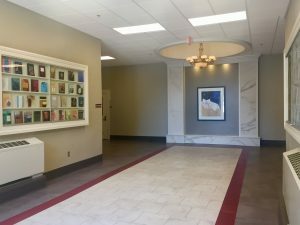 The untitled work is featured in the new display area Wuebold and his team designed for the center of the newly renovated foyer. 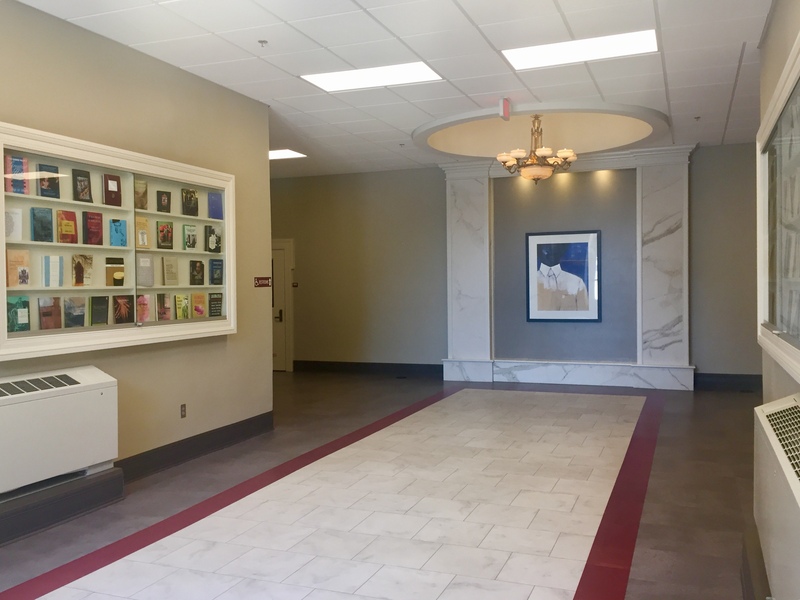 As a finishing touch for the project, UA carpenters built beautiful new bookcases for the Morgan entryway to display English faculty books. Come by Morgan Hall and check out the new foyer, as well as information about the English major and Creative Writing minor!